OPENonline, a leading provider of employment background screening services that is accredited by the NAPBS® Background Screening Credentialing Council, will host the HRCI-approved webinar, “7 Reasons To Go Green With Your Background Checks: The EEOC Green Factors” for HR professionals. We hope our complimentary legal update webinar will help hiring managers navigate the endless restrictions, requirements, and best practices when it comes to background checks in the employment screening process. Ban the Box works to remove the question, “Have you ever been convicted of a crime?” from initial job applications, deferring such inquiries until later in the hiring process when the information can be fairly weighed in light of an applicant’s qualifications. The movement has resulted in a patchwork of laws, making it increasingly difficult to perform what most employers would consider even the most basic due diligence in the screening process. In addition to Ban the Box, the EEOC Guidance on the use of arrest and conviction records in the hiring process has created additional confusion for employers on the proper usages of criminal records for employment screening. 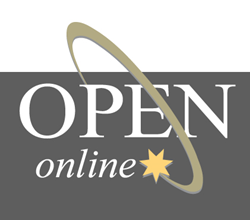 OPENonline’s Continued Compliance Education Series kicked off with the webinar “Does Ban the Box Mean Ban the Background Check?” The webinar served as a follow up to OPENonline’s successful White Paper, “Protecting your Rights or Disguising your Past? How the once unknown Ban the Box movement has sparked a nationwide debate.” Additionally, OPENonline’s Continued Compliance Education Series has featured, “Reflection of the FCRA,” which reviewed recent class action lawsuits and how the EEOC, state and federal laws affect the use of background reports; “Is Your Background Check Process Compliant? The Changing Landscape of Background Checks” about the EEOC’s updated Enforcement Guidance on the use of arrest and conviction records in the hiring process; “Same Story, Different Day: The Attorney’s Perspective on the EEOC and FCRA” regarding employer compliance with the EEOC and FCRA and; “I-9 & E-Verify Compliance” about the penalties ICE and Office of Special Counsel (OSC) can impose for non-compliance.